Violet Mungatana, the first wife to former Garsen MP Danson Mungatana has died while undergoing dialysis at the Coptic hospital. Mrs. Mungatana known to close friends and family as Mama Elsie had been admitted at the facility for the last one month. Deputy president William Ruto led Kenyan leaders in eulogizing the late Violet as a kind, devoted family woman who stood out for her warm heart. 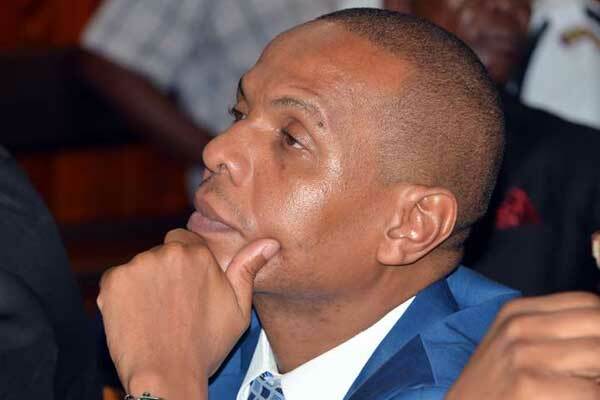 Danson Mungatana popularly known as “the crocodile eater” was a staunch member of the NARC-Kenya party and was elected to represent Garsen Constituency in the National Assembly during the 2007 parliamentary elections. TV anchor Mwanaisha Chidzuga is now left as the sole official wife after model Cecilia Mwangi dumped the former MP over what she called as a trail of women/wive candidates. The post BREAKING: Hon Mungatana’s 1st wife is dead, TV anchor Mwanaisha sole wife, Ceccy Mwangi Left appeared first on Kenya Today.